I have to admit I was prepared to be disappointed before I opened this book because I was let down by the original Frozen Assets but I was pleasantly surprised. Deborah gets personal and talks about finding a lump in her breast and the questions she asked herself as she went to the doctor and waited for test results. It's the kind of event that makes people rethink their life and this freezer cooking queen took action and improved her diet. Frozen Assets Lite and Easy: Cook for a Day, Eat for a Month focuses on what Deborah calls mini-sessions, or what I simply call “Session Cooking," taking about 5 recipes with common ingredients and making a freezer cooking meal plan around them. The first chapters talk about saving time and money with freezer cooking, how it can improve your lifestyle, some basic information to help you get started, how to create a thirty day meal plan, and keeping your kitchen well stocked. 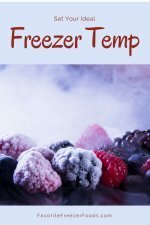 The following chapters include freezer cooking sessions with recipes and shopping lists. There are four chicken, one turkey, one ground turkey, one beef, one ground beef, one pork chop, one crab, one tuna, two pasta, two tofu, one bean, three vegetarian and one eggplant sessions. I found these recipes much more appealing in particular the Artichoke Chicken Bake, Chicken Mushroom Rolls, Turkey Burgers, Crab-stuffed Manicotti and Spinach Pizza. There are also a few fried rice and quiche recipes throughout the book that look tempting. The recipes are mostly from scratch, though there are some that use ingredients like seasoned/stewed canned tomatoes, store bought seasoning packets and spaghetti sauce. Deborah also includes storage guidelines for frozen food, recipe equivalents, and recommended books. There is no index but it's easy to find everything on the table of contents. 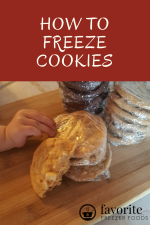 If you want a freezer cooking book with meal plans, shopping lists, healthy recipes and easy to follow instructions then you need this cookbook. Return from Frozen Assets Lite and Easy to the homepage of Favorite Freezer Foods.